Reader Question: Luggage Delay To Maldives On American Airlines Issued Award – Who Responsible To Pay For Expenses? A LoyaltyLobby reader sent us a message regarding a delayed luggage situation while traveling to Maldives and how to get compensated for the necessary items purchased. Remember that you can always email us, send a message via Facebook or use Twitter and include photos too. We’ll try to cover Reader Questions & Comments here several times a week. Recently I travel from TPE-HKG(transfer)-AUH(transfer)-MLE, from TPE-HKG is Cathey and HKG-AUH-MLE is by Etihad. The flight is book with AA mile with Tax paid with Citi prestige. The Cathey flight was delayed and when we arrived HKG, the airline ground attendees told us that we will be able to catch the Etihad flight, but the luggage won’t be able to take the same flight, and will be delivered late to our final destination. Since there is hardly any other choice. Me and my mom get on the flight eventually. When we arrive in Maldives, the local baggage agent said the luggage might arrive late at night, and won’t be able to reach the hotel until next day or two. I contact the credit card for baggage delay protection, and the agent said it’s $500 per person. Since I already in the Conrad Maldive resort, my only choice to buy clothing is on the island which is super expensive! It’s like $13+ for a n underwear and $300+ for a dress…. we purchased some clothing, swimming suits and sunscreen and cost over $1000 for 2. And the luggage arrived hotel on the next day late at night. After I received my luggage, I contact the Cathy airline see if airline will pay for any of the spending, they said per regulation I should contact Etihad since they take me to my final destination. But till now (I contact them around 12/26) I haven’t heard anything from Etihad. I also contact Citi for the baggage delay warranty $500 per person 12/26 I provide them all the documentation 1/13 I asked them for update 1/14 They request me to provide extra documents which I provide on the same day 1/21 received $500 reimbursement. I called to ask them why only $500. The adjuster said since the baggage delay only shown there is 1 luggage delayed. So they only approved for 1 person allowance. I explain to her that me and my mom share the luggage and that luggage is the only 1 we checked in. She demand us to provide prove that we share 1 luggage and she didn’t checked in any other luggage. How is it possible to prove something I didn’t do! I tried to contact Cathy see if they can provide any check in luggage information which shown that my mom didn’t check in any luggage. They said they are not able to do that and I should contact Etihad instead. I contact Etihad through phone, the phone agent said they do not have authority to provide any paper documents, and ask me to contact Etihad via “feedback” on the website. And I didn’t that two days ago and still didn’t receive any email back. So what should I do? 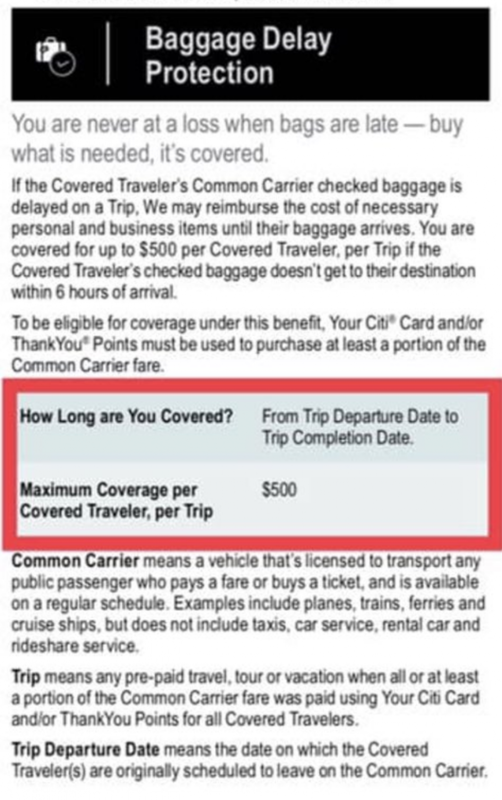 Per their warranty it should be $500 per person not per baggage! Why should I need to prove something I did not do to get the warranty? And how should I prove it? The airline that operates the last segment is responsible to deal with the delayed baggage compensation claim regardless with whom you originally checked it with or which airline caused the issue. Airlines will settle these claims later by themselves. It seems that, although this trip originated from Taipei, the reader is from the US or at least has an address there. I would open a complaint with the DOT’s Airconsumer unit against Etihad (you can do it here) for delay processing the claim. This will get the claim to Etihad’s attention and certainly will speed up getting it handled promptly. The airline may also claim that buying items worth of $1,000 was excessive for 24 to 36 hour delay but I would counter argue like the reader has done here. You don’t have a choice and items are expensive at these resorts. Not sure if Etihad’s customer service officers are overwhelmed with delayed baggage claims or what is the reason behind of not processing these for weeks or months? DOT is always very helpful avenue to pursue airline related issues because these claims gets lodged “against” them and numbers are published for everyone to see. I am not familiar with the credit card insurance that the reader is trying to use here. Seems that it is difficult to claim expenses for two when you have only checked one bag. It really shouldn’t be this difficult to deal with Etihad but unfortunately it is.